After purchasing this product, you will be sent a unique Kogan Mobile vouchers by email within 24 hours and a Kogan Mobile SIM Starter Pack by post. If you are activating a new Kogan Mobile service, visit the activation centre to redeem a voucher. If you are already a Kogan Mobile Broadband customer, simply login to your account and use your voucher to recharge. 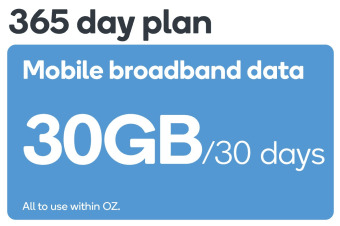 Each voucher can be redeemed for an Data M – 365 Day Plan without any additional charge. 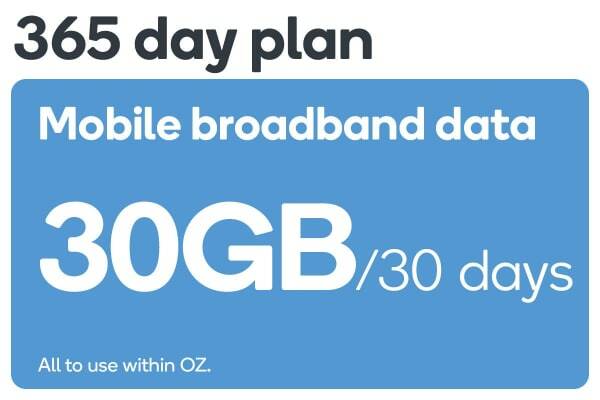 Browse, socialise and stream with complete freedom thanks to a massive 30GB of data to use every 30 days.